ADEL — Fifteen months ago Michael Gilbert was as knowledgeable about the duck under or ball and chain tilt as he was astrophysics. In other words, he was in the dark. Just a kid off the street, in a way, looking to see what the sport of wrestling was all about. This morning he wakes up as a Class 2A state qualifier at 182 pounds. Not too shabby at all. 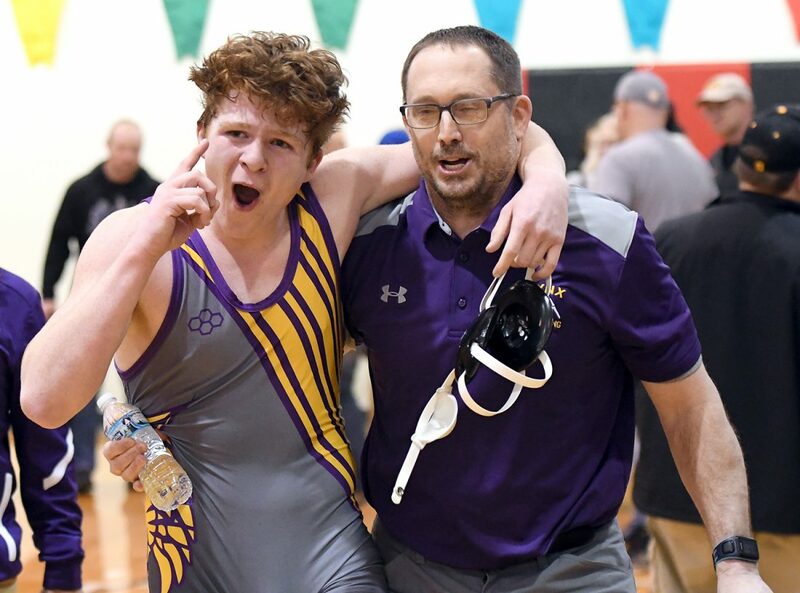 In just his second year in a singlet, Gilbert, a Webster City senior, punched his ticket to state by placing second at Saturday’s Class 2A district tournament inside the ADM High School gymnasium. The fist pump, the wave to the Lynx crowd, the hug with head coach Chad Hisler — it was all a surreal experience for the somewhat newbie to the sport. Gilbert (24-20) had to wait until the final match of the tournament to turn his dream into reality. 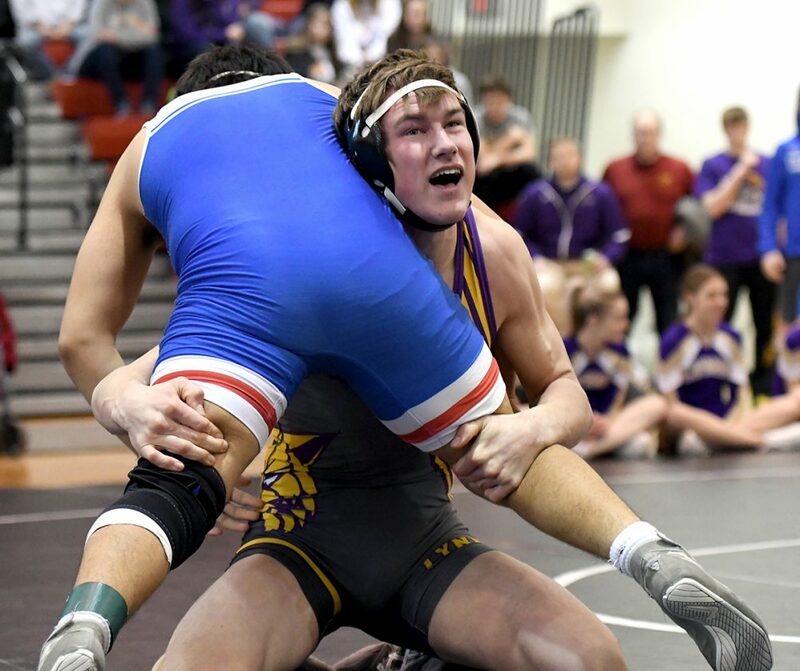 Facing Ballard’s Mason Askelsen in the wrestleback round for the last of the 28 state berths handed out, Gilbert seized the lead for good with a second-period escape and then built a cushion with a pair of third-period takedowns for a 5-1 victory. A single-leg attack near the edge of the mat midway through the third was the difference. After dragging Askelsen back into the circle, Gilbert was able to trip the back leg and score the takedown to build an insurmountable 3-0 advantage. 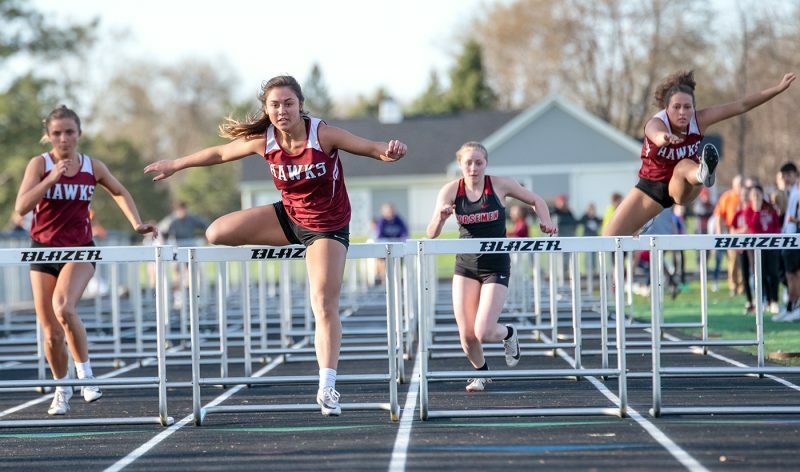 Gilbert avenged two previous losses en route to the runner-up finish. He fell to Askelsen, 4-2, when they met in December, and earlier in the consolation round he pinned Perry’s Cole Snyder in 2:34 to earn the wrestleback. 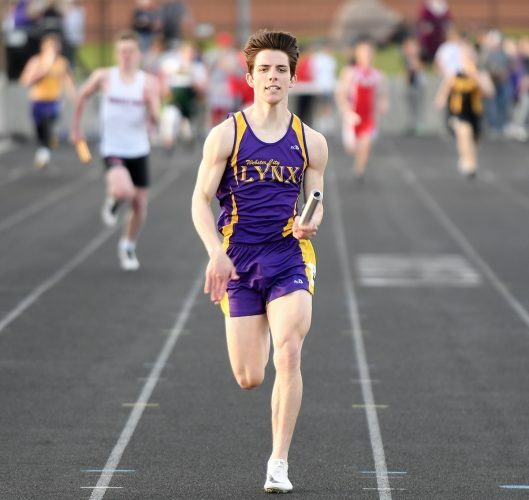 Snyder beat Gilbert, 10-7, in the finals at sectionals. 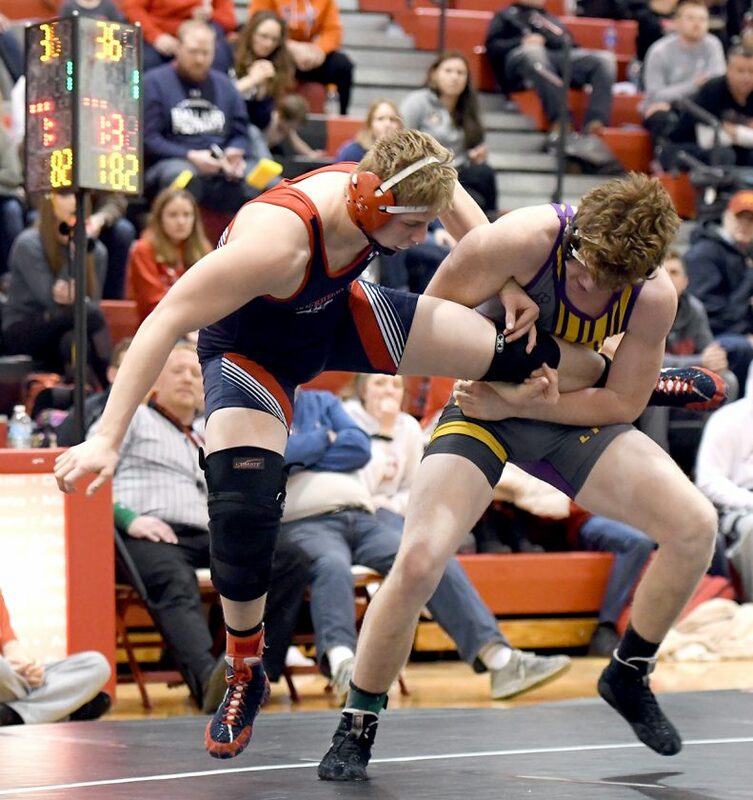 Gilbert opened the district with a loss to third-ranked and eventual champion Nolan Harsh of ADM.
WCHS, which will send a total of four wrestlers to state, fell short in two other wrestleback opportunities. 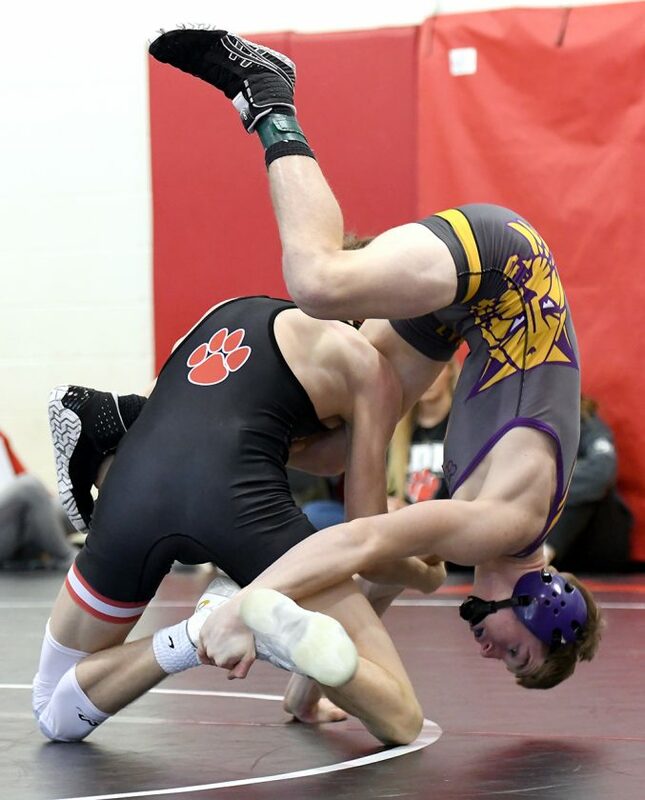 Chase Rattenborg (126) built a 6-2 first-period lead on Cael Ihle of Gilbert, but was reversed to his back in the second period and lost by fall. 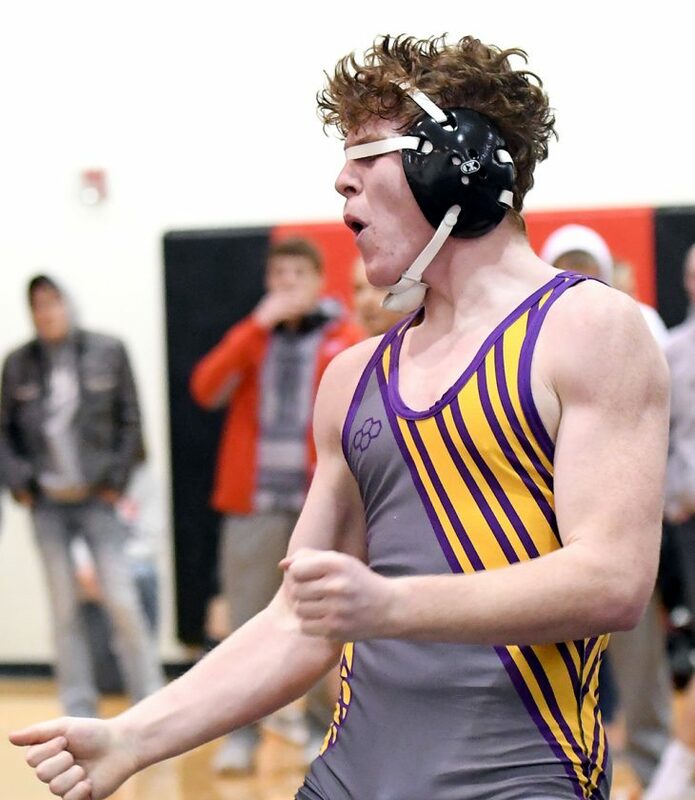 Sean Godfredsen (160) faced the most daunting bracket of the day, as he lost to top-ranked Skyler Noftsger of Ballard in the semifinals and then dropped a 14-2 major decision to eighth-ranked Caleb Swalla of Van Meter-Earlham in the wrestleback. 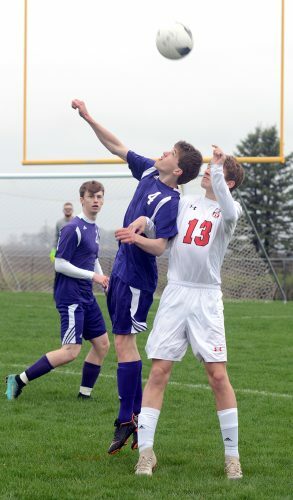 “Sean was competitive in that last match, and Chase wrestled the first period as good as he’s wrestled all year, but (Ihle) is tough,” Hisler said. Gage Rossing (220) was also in the district field for the Lynx. 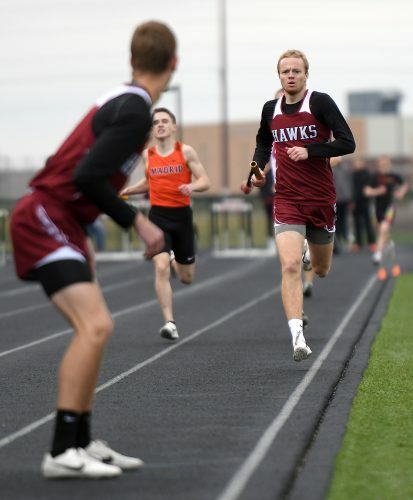 He placed fourth. The state tournament will get underway from Wells Fargo Arena in Des Moines on Thursday. The opening 2A session with first round and consolation first round matches is scheduled to begin at 6 p.m.